Great News! We now have several ways for you to make your tax deductible donation to Greater Imani. You will just need to register only once with Tithe.ly and/or Givelify and that's it. Best of All, you won't have to put in your information any more. It's as simple as the click of a button to give. You can use our new Text 2 Give feature. Simply save the phone number listed above in your phone and text the word Give and the amount to the number above to get started. You can also download the Givelify app from the App Store or Google Play Store and donate directly from your iPhone or Android device. 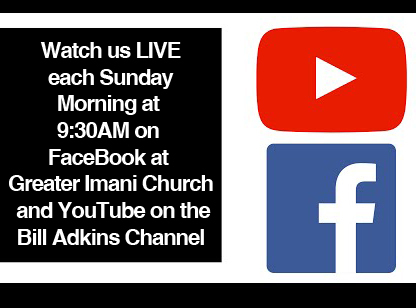 Greater Imani Church Cathedral of Faith is a vibrant, Spirit filled church located in Memphis, TN but our reach extends globally. We are like that city set on a hill that cannot be hid. We come together to share friendship, worship and prayer to help face the challenges of life knowing that Jesus walks beside us. So whoever you are, wherever you're from and whatever you believe, we'd love you to join us. A warm welcome awaits you! A Children's Ministry your kids will love! You don't have to dress or look a certain way. No matter where you are in your spiritual journey, God will meet you at that place and you are always welcome here! We will listen, support and offer encouragement where we can. At Greater Imani there is work for all. There are many benefits to be obtained from being actively involved in church. Not only do you get to know people, but you also have an opportunity to serve others and get a sense of belonging. Join one of our many Ministries. 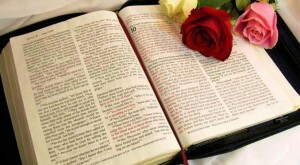 Attend On The Floor Bible Study with Dr. Bill Adkins Wednesday nights at 7:00 PM. Greater Imani is located at 3824 Austin Peay Highway in the Raleigh area of Memphis, TN.